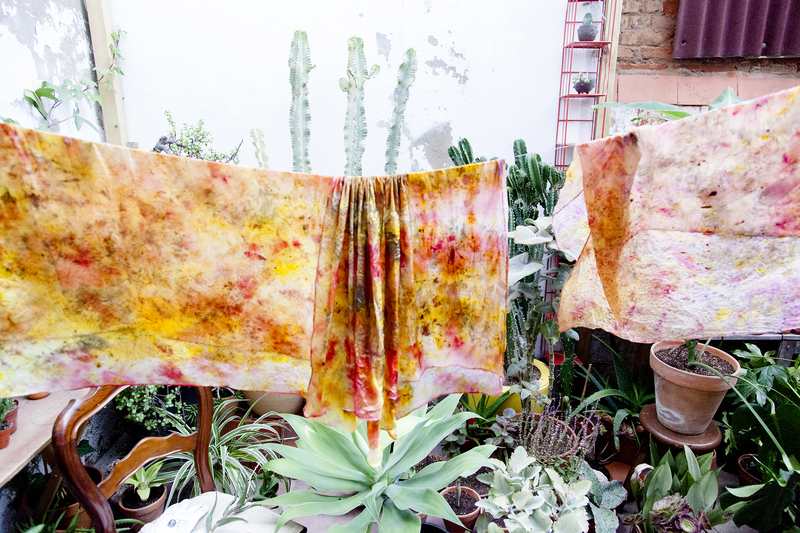 Plant Print is also known as bundle dyeing or eco printing. 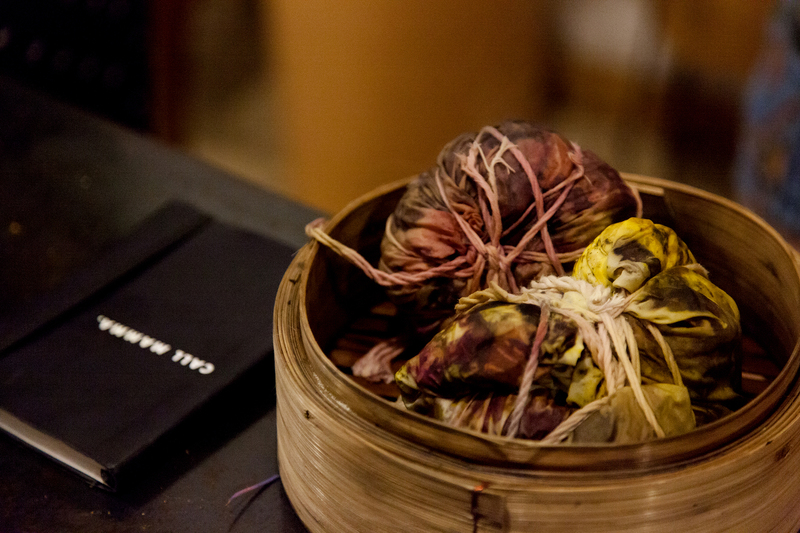 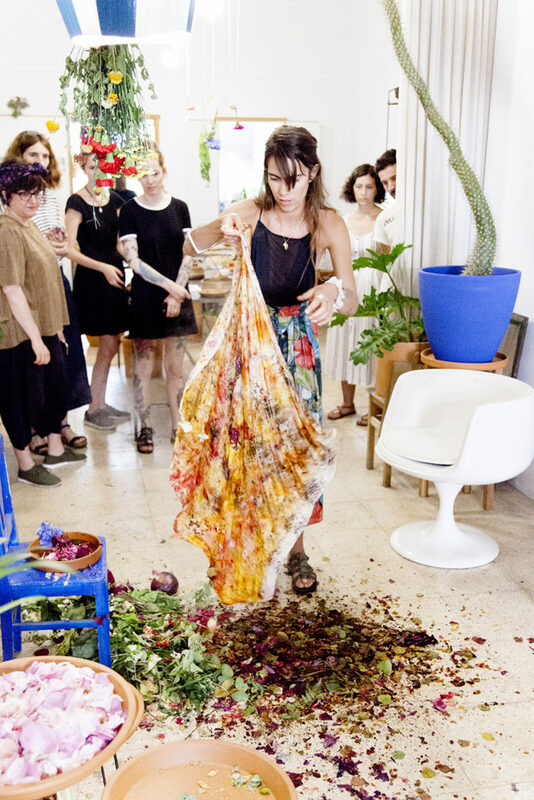 It is a form or natural dyeing where whole dyestuff (leafs, peels, petals etc.) 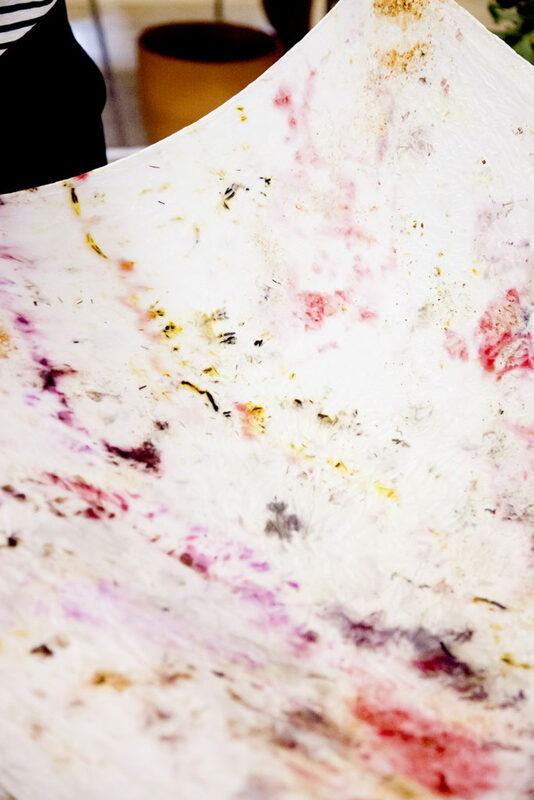 are used to give color to natural fibers. 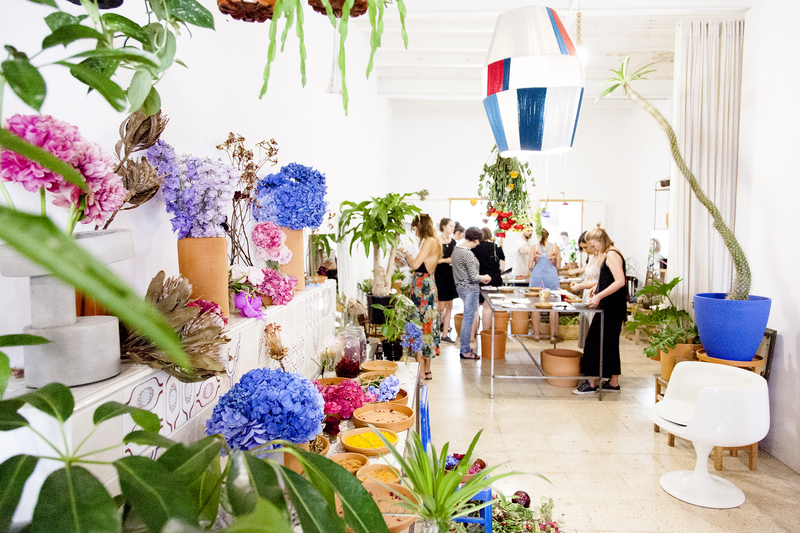 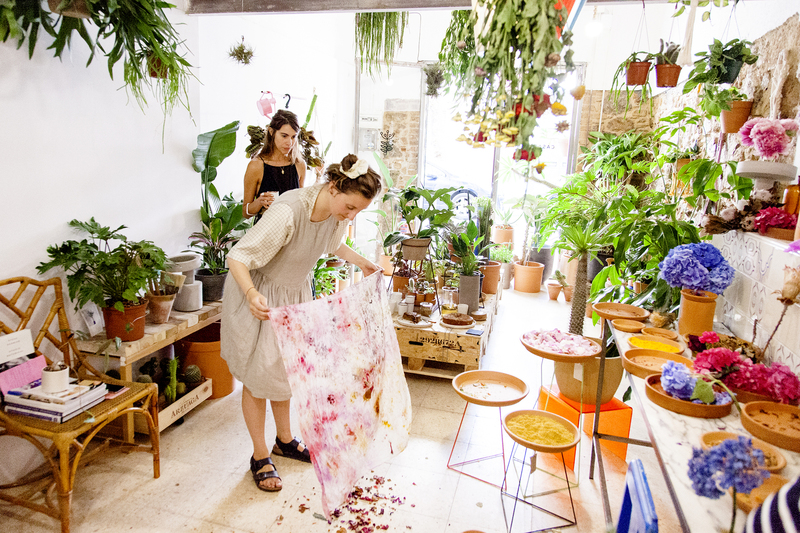 The plant print workshop is an attempt to show how easily accessible natural color is in our everyday life. 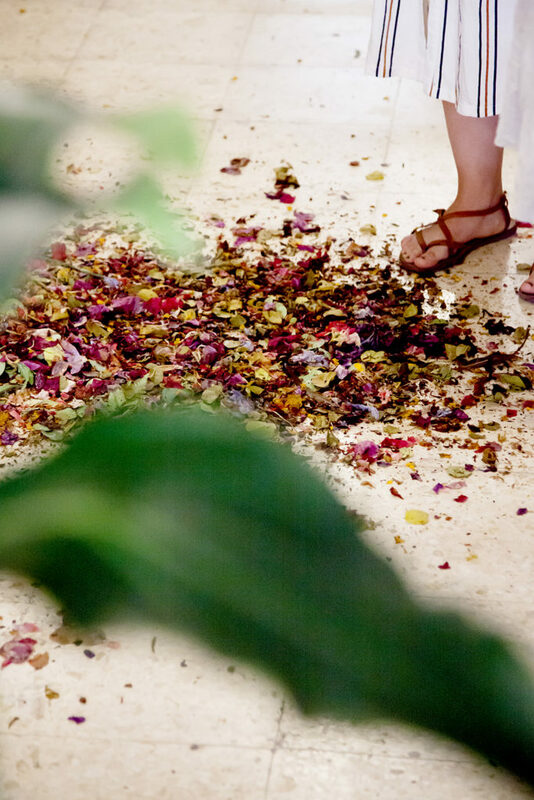 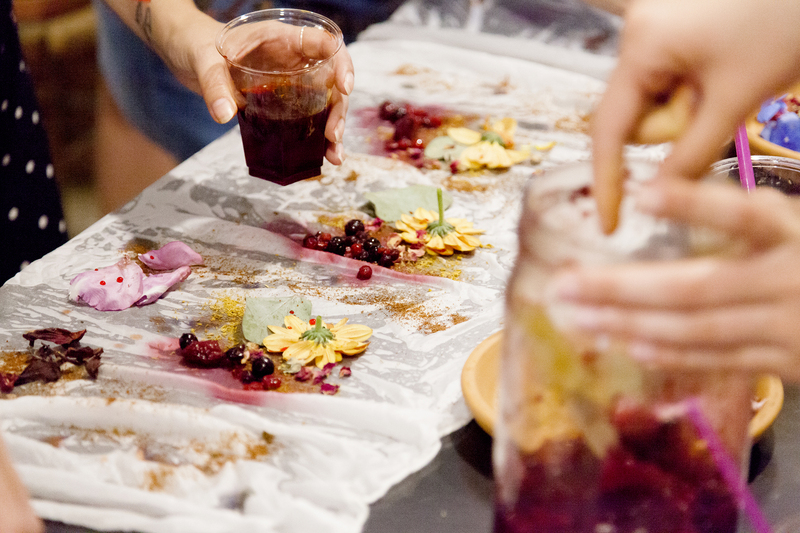 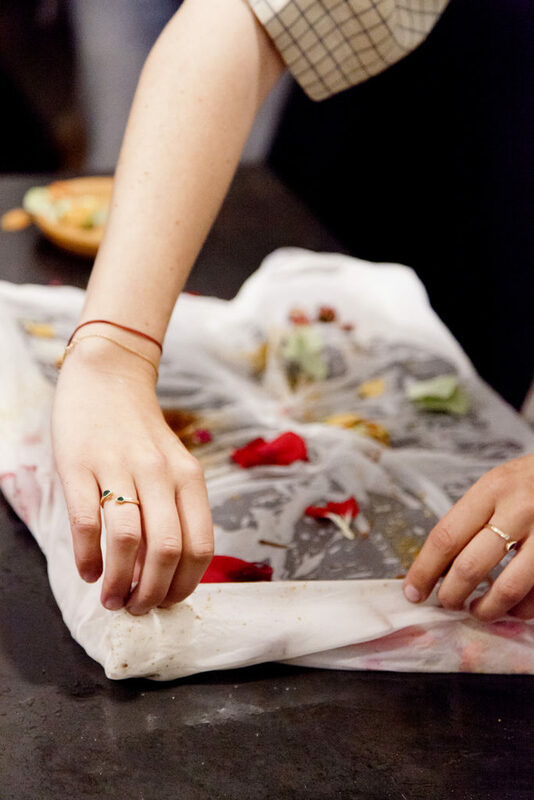 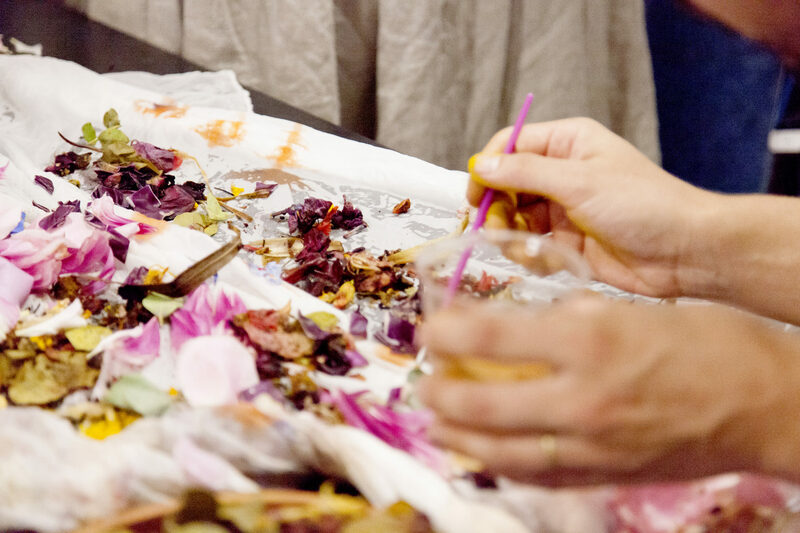 Most produce and botanical waste is capable of leaving a colorful mark on fabric. 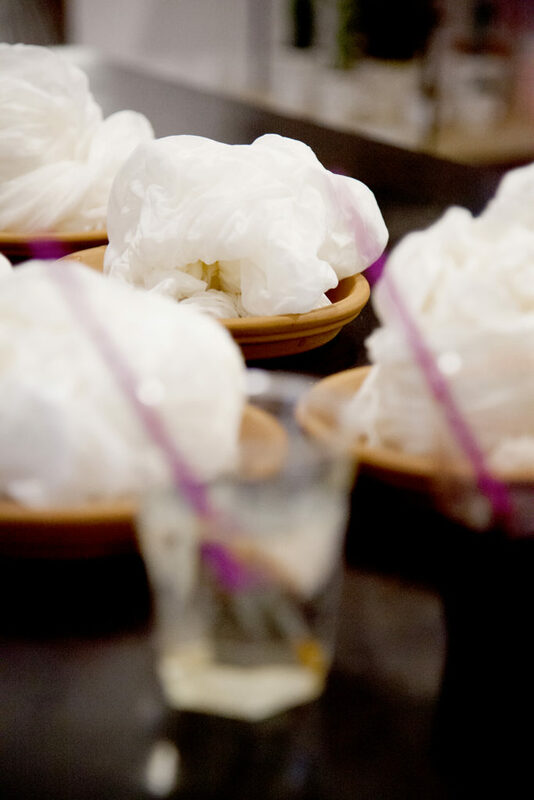 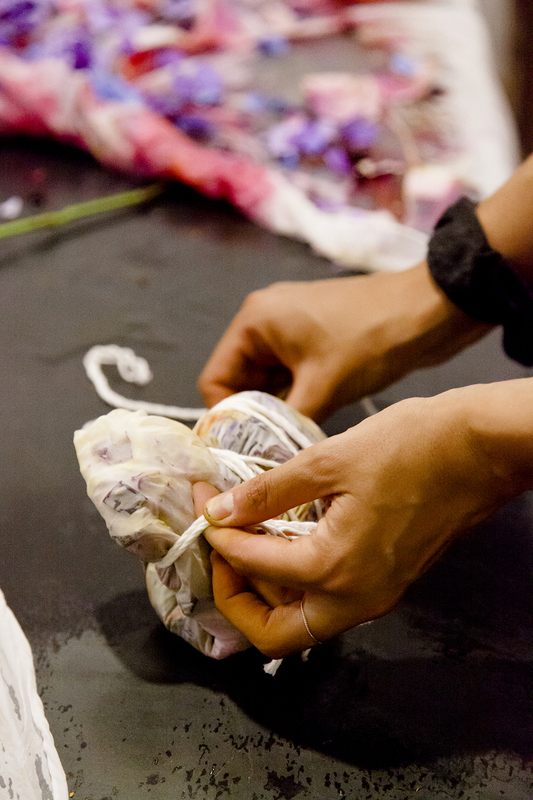 What we usually categorize as waste can therefore be used to create small wonders of naturally dyed textiles. 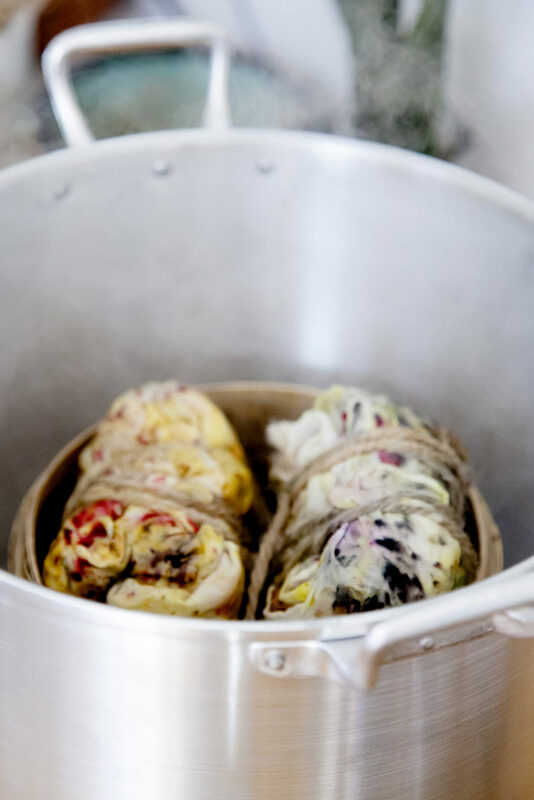 A great way to give new life to your wardrobe or embark on a foraging adventure in your kitchen or local park. 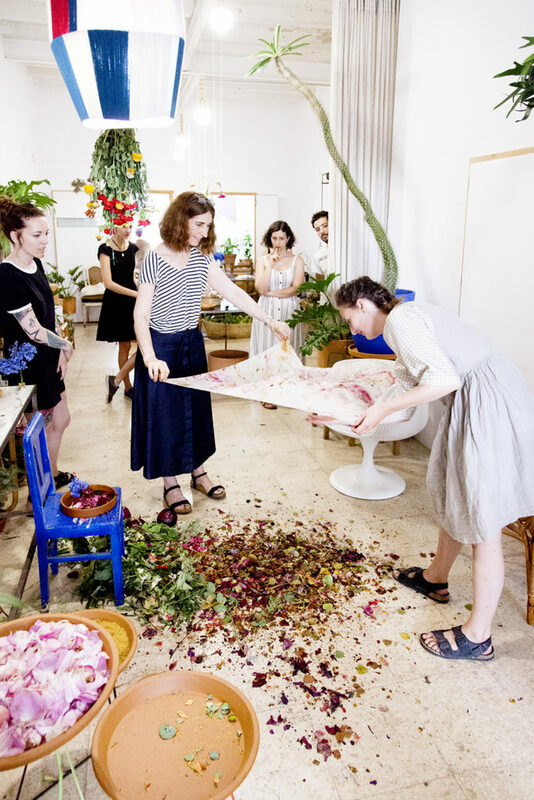 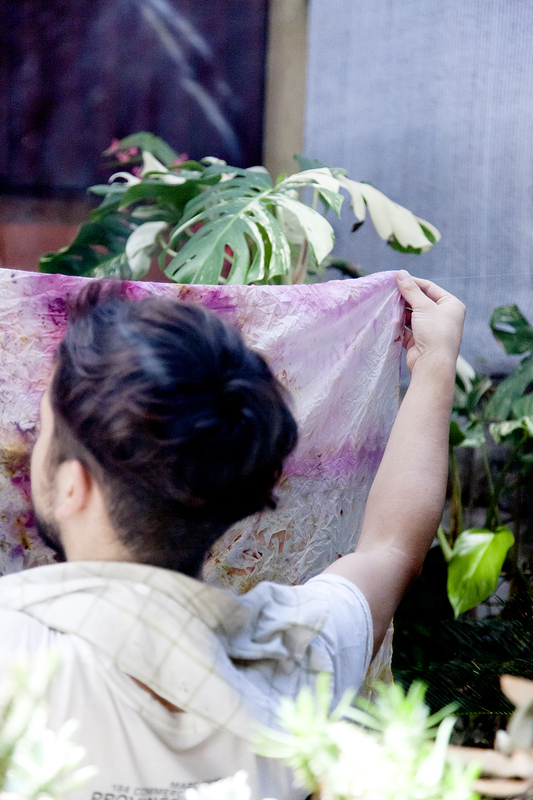 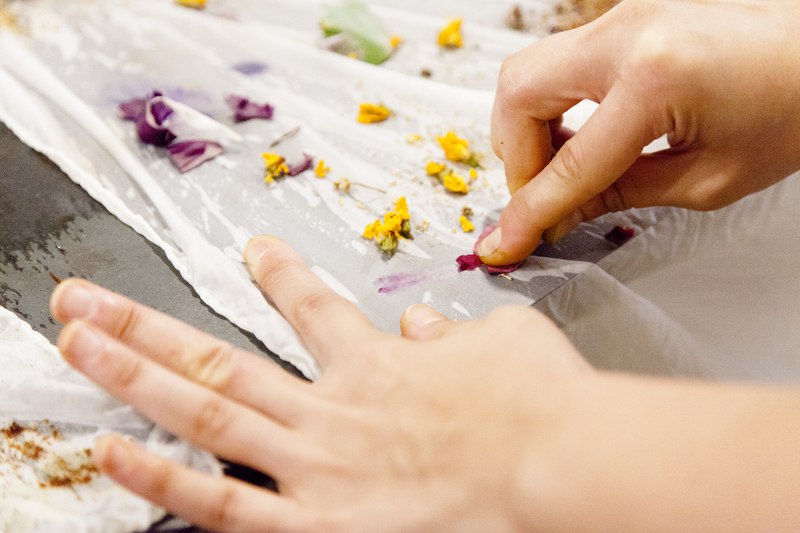 During our workshop you get to make a 90 x 90 cm natural silk scarf using the plant print technique. 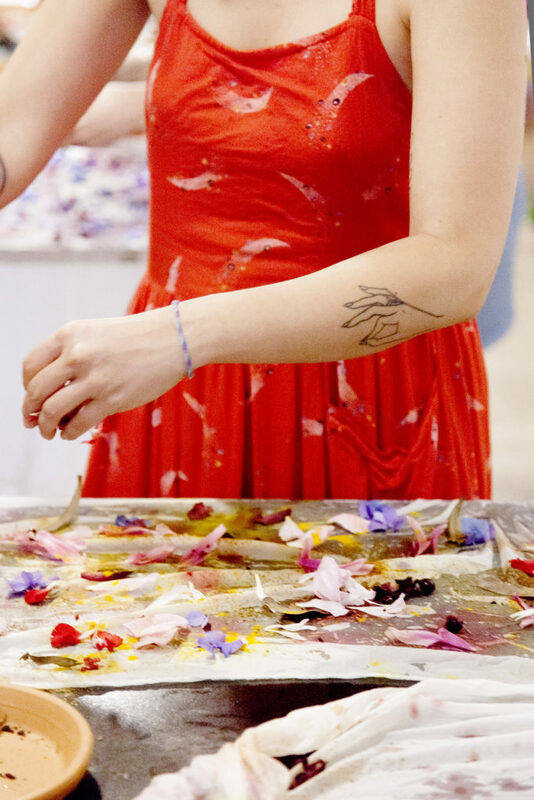 We will show you how to create various patterns as well as how to how to brighten or dull the colors of your print. 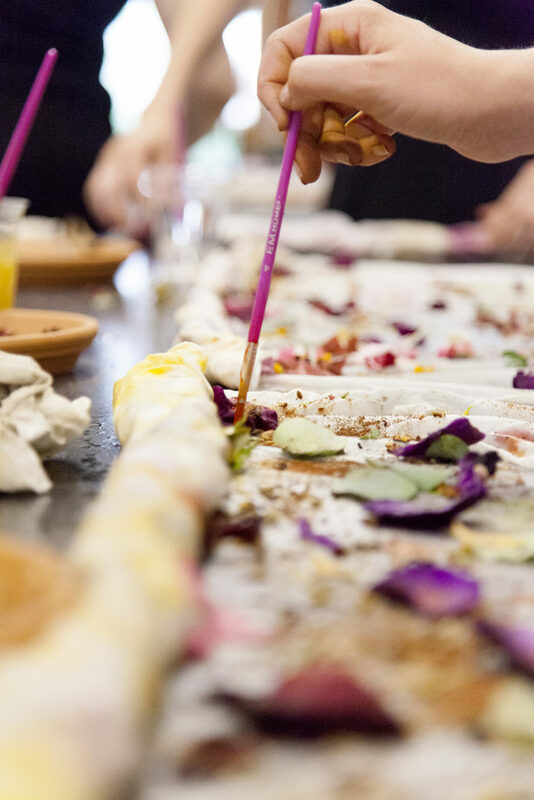 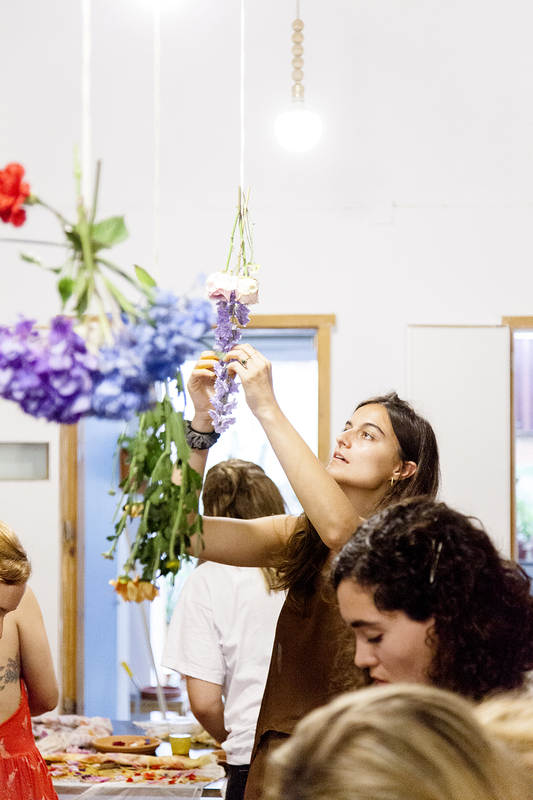 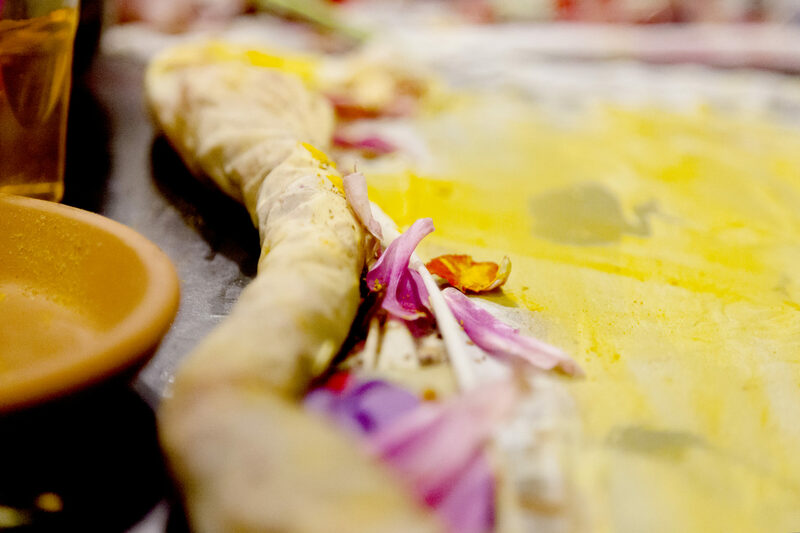 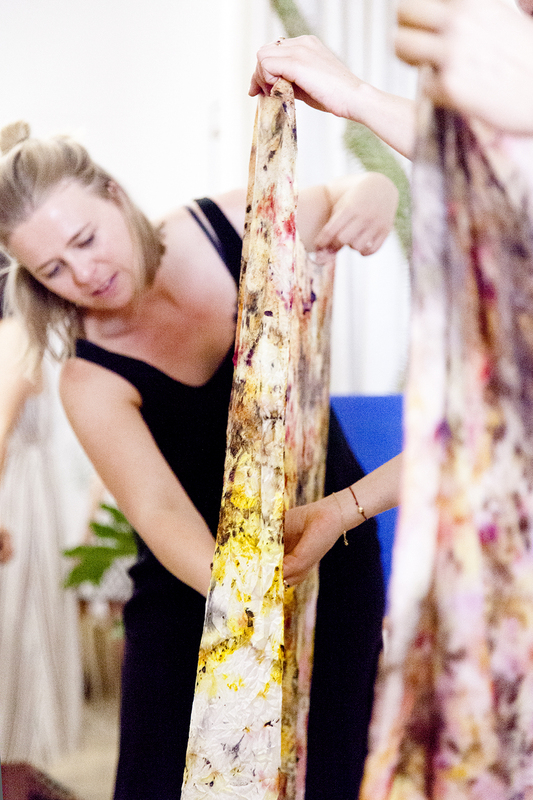 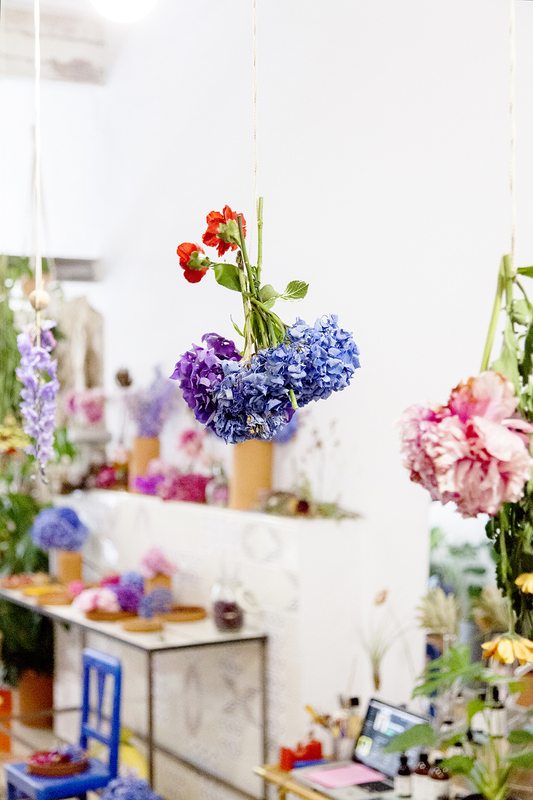 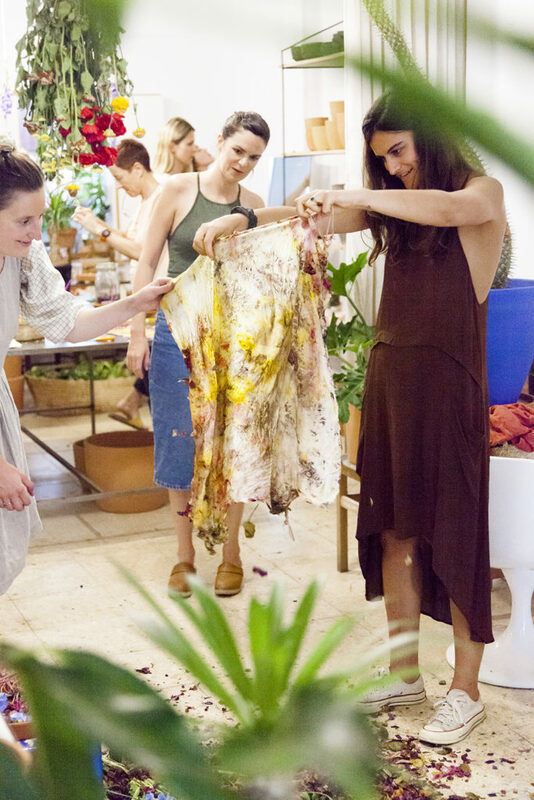 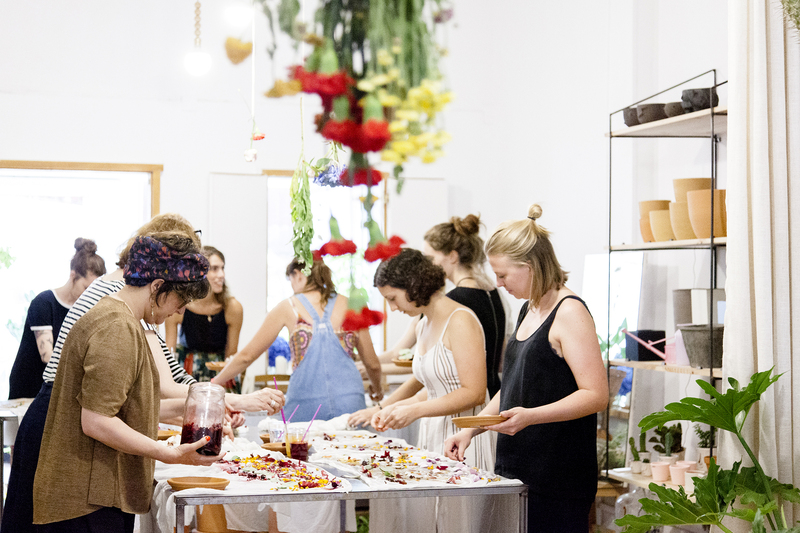 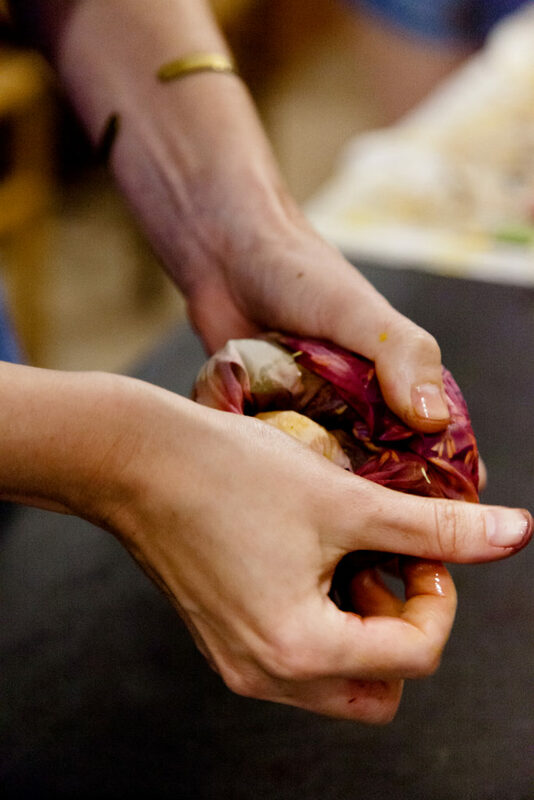 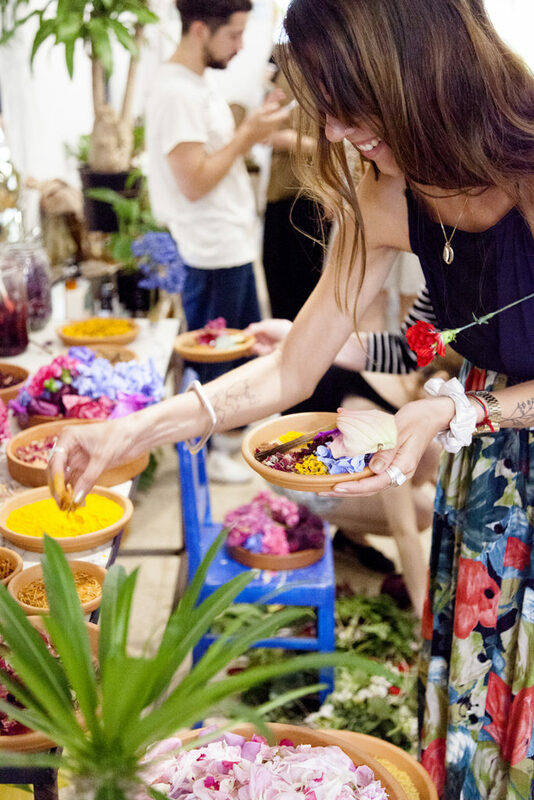 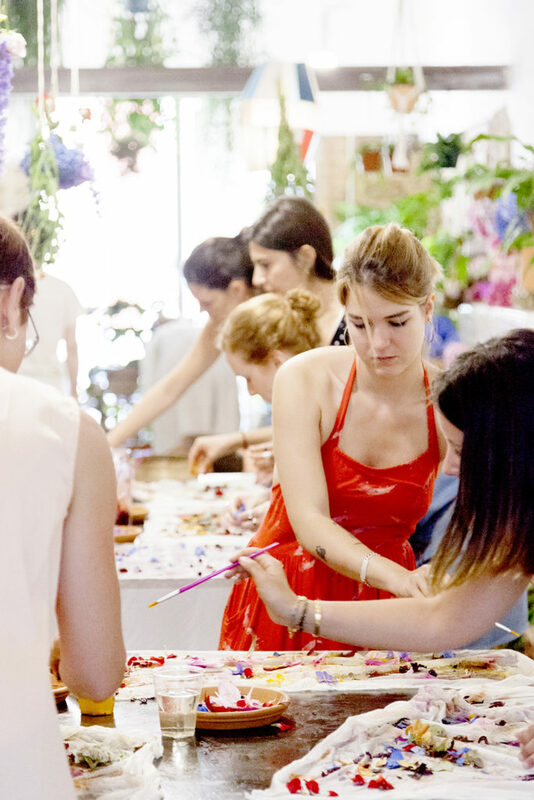 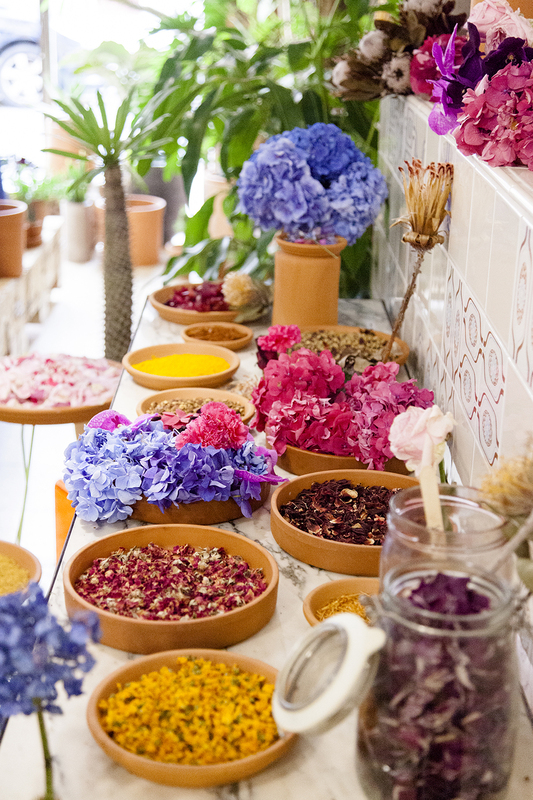 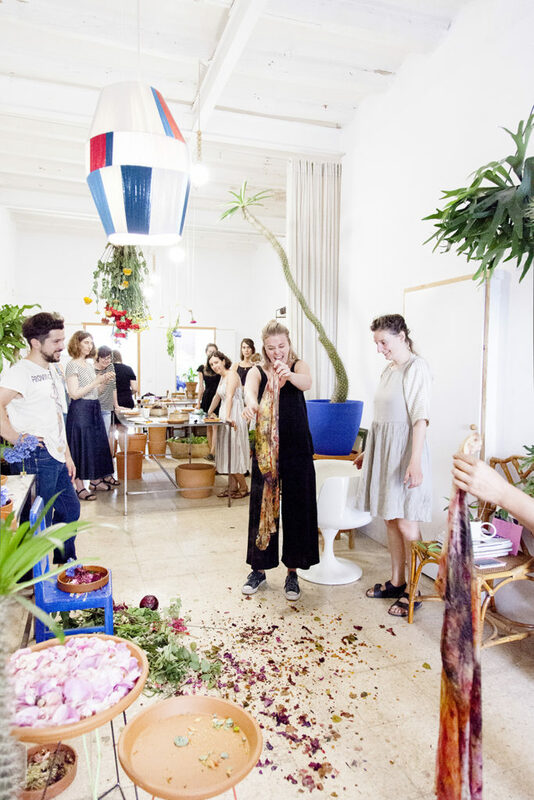 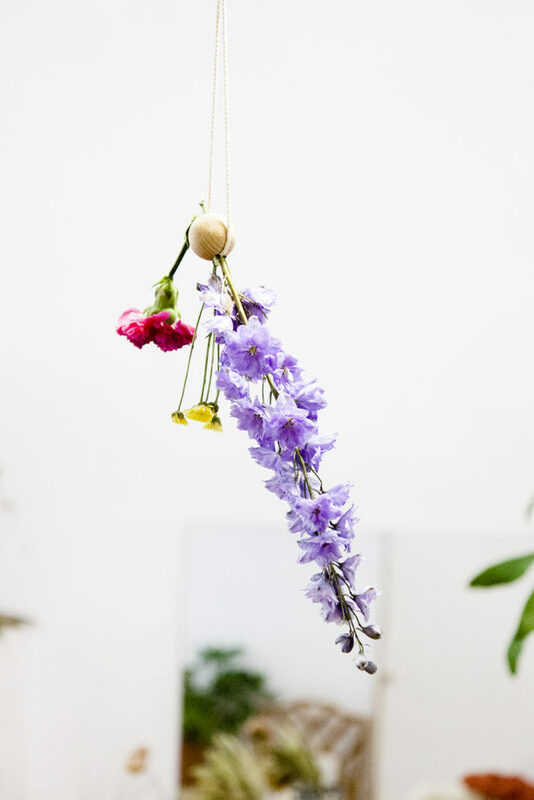 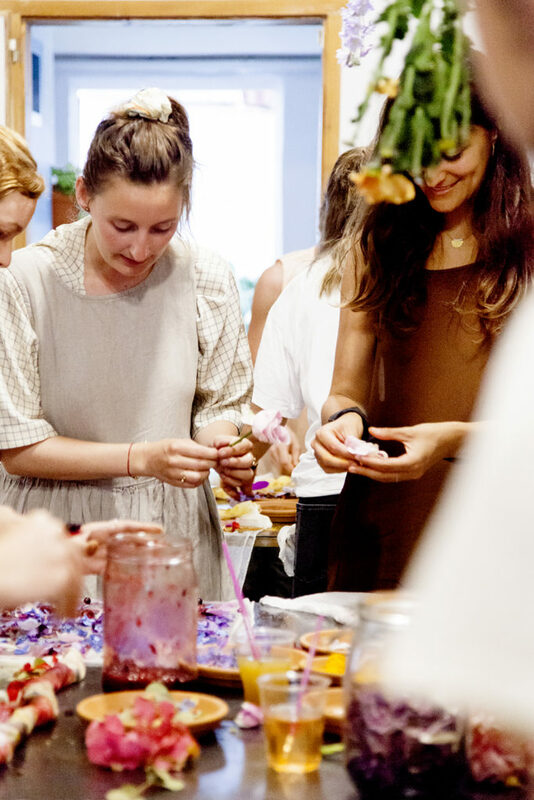 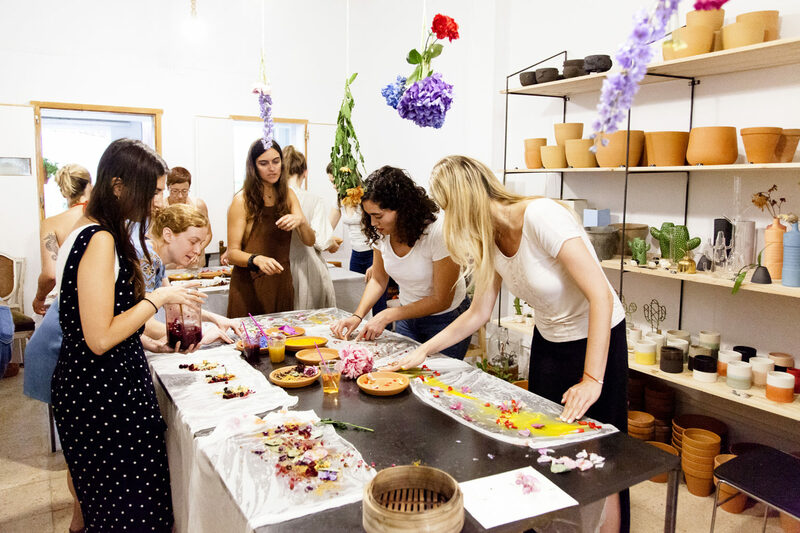 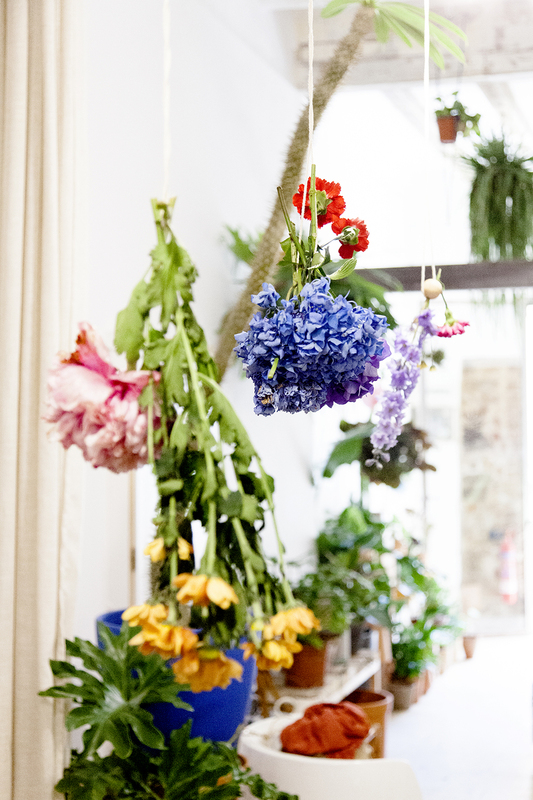 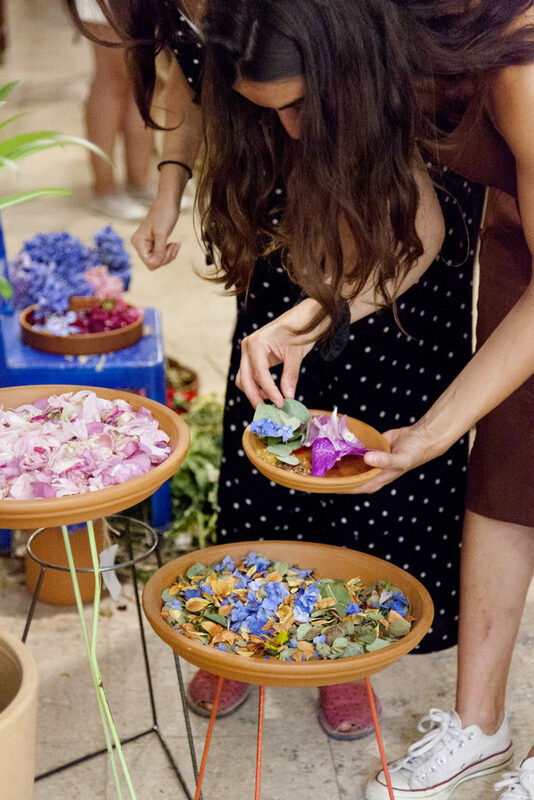 The workshop also includes a general introduction to natural dye and a manual, so no experience needed and we promise it is easy to repeat at home.